The Middle East has always been a hub for international business– a place where new construction projects compose the national identity. So it would only make sense that EllisDon, and its people, are behind some of the most exciting and innovative projects in the region. For over 40 years, EllisDon has been taking its values, culture, expertise, services and people and expanding around the globe. With offices in several locations, EllisDon boasts a strong presence in the Middle East with current operations in the United Arab Emirates (UAE), Qatar, the Kingdom of Saudi Arabia, Kuwait, and Afghanistan. Having established ourselves as a key player in the Middle East, EllisDon provides Project Management, Construction Management, and Facility Management Consultancy services. We pride ourselves with being at the forefront of innovation in the construction industry with a Virtual Design and Construction division in the Middle East along with other value-added consultancy services in areas such as R&D, Sustainability, Intelligent Building Services, and Energy divisions. EllisDon brings a unique blend of Canadian standards and Middle East experience which means we can adapt to any environment while still delivering the highest standards of quality. Our people go over and above for our clients—it’s these relationships that have kept us here and it’s these relationships that continue to grow. Being an employee owned company, every person at EllisDon is driven by a pride of ownership to go above and beyond. EllisDon is a permanent part of the Middle East landscape —we’re not going anywhere. EllisDon has successfully delivered a variety of projects that have shaped the Middle East landscape. 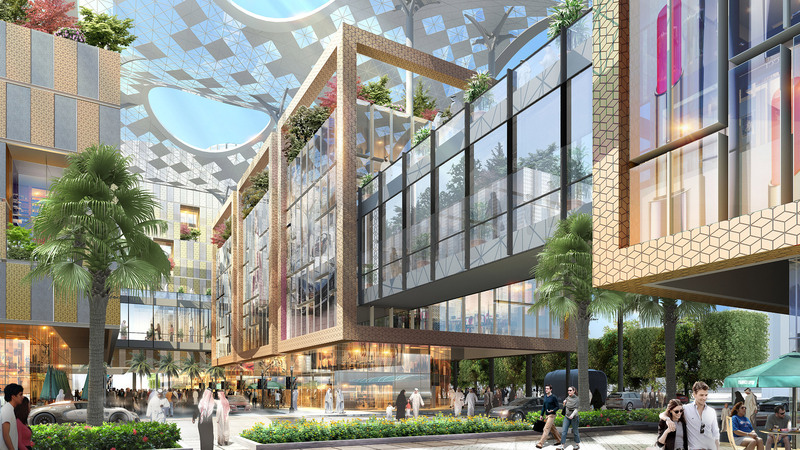 Our projects – which span healthcare, civil infrastructure, institutional, residential, and commercial sectors – include Arzanah Medical Centre in Abu Dhabi, Atlantis Palm Hotel & Resort in Dubai, and the Ansam Residential Development on Yas Island in Abu Dhabi. Aside from continuing to deliver exciting projects throughout the Middle East, we now have five EllisDon offices there. For our Middle Eastern clients, we are the go-to construction powerhouse.